At Plaza Del Amo Animal Hospital & Pet Keeper, an expert staff of veterinarian doctors and a skilled team of technicians are here to do just that. Under the directorship of our highly skilled veterinary doctors, your pet is always in good hands. We're ready when your pet needs us. Hometown: Western Iowa native. After college and veterinary school in Ames, Iowa, I spent 9 years in private practice in the Phoenix, Arizona area before moving to the Southbay in 2013. Family: Married with three 4-legged “children”. Two kitties, Ripley & Tesla, and a Spaniel Mix, Arizona. Hobbies: Low-water-use gardening, hiking, running, and exploring the many beautiful sites that Southern California has to offer. Now that I live near the beach, I also aspire to take on surfing as a new hobby. Favorite Quote: “At the Beach Time You Enjoyed Wasting, Is Not Time Wasted.” T.S. Elliot. “Dogs come when they’re called; cats take a message and get back to you later.” Mary Bly. Professional Interests: General/Internal Medicine, Dermatology, Behavior, Dentistry, and Preventative Medicine. Practice Philosophy: I enjoy helping to maintain the amazing bond we share with our pets. My goal is to provide my patients and pet parents with compassionate and quality veterinary care. Dr. Ogino was born and raised in Honolulu, Hawaii. She attended the University of Hawaii-Manoa and received her B.A. in Zoology, with a minor in History. 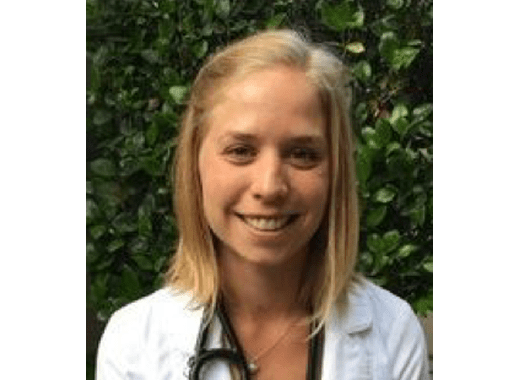 She went on to receive her veterinary degree at Washington State University College of Veterinary Medicine, where she had quite an experience learning how to live in the snow! After practicing several years at a small animal private practice in Northern California, the sun and surf called her back, and she migrated south to beautiful Torrance. 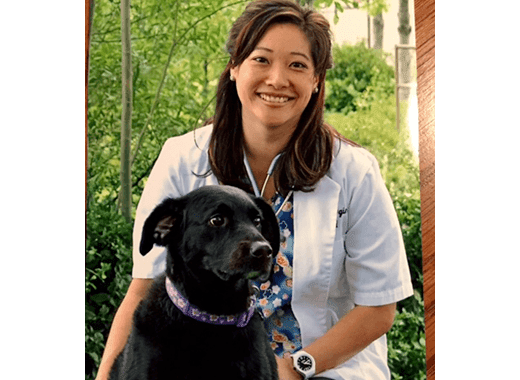 Dr. Ogino enjoys doing any kind of activity on the water (most especially surfing), hiking wit her dog, traveling, and is an avid reader and baker. Dr. Ogino is owned by her border collie/lab retriever mix Pilikia (=trouble in Hawaiian) and sister kitties Sachi and Sookie. Her professional interests include dermatology, internal medicine, and dentistry. The next goal in her professional career is to become certified in Traditional Chinese Veterinary Medicine. Dr. Sinnott is an LA native, born and raised in South Pasadena. Her early love of animals led her beg her parents for many childhood pets. She has since been the guardian of several guinea pigs, a hamster, multiple turtles, and a very special Shih-Tzu named Gilber. She attended the University of Southern California where she finally decided to become a veterinarian. Dr. Sinnott attended veterinary school at UC Davis, where she particularly enjoyed courses on cardiology, behavior, and ophthalmology. She loves dentistry as well, and tries to help pets and owners design a dental hygiene regimen that works for them. Her next professional goal is to become certified in acupuncture. In her spare time, Dr. Sinnott enjoys backpacking, hiking, rollerblading, drinking tea, lounging at the beach, and playing ultimate Frisbee. She is always on the lookout for a new furry friend, and enjoys fostering special-needs animals who need a little longer to find a forever home. 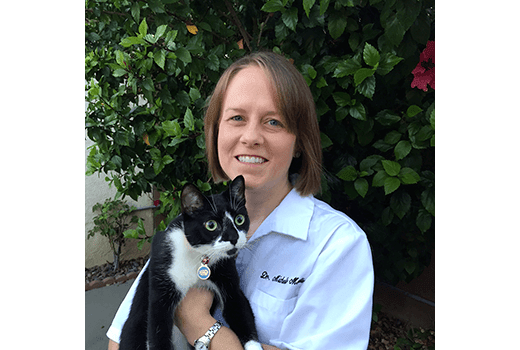 Dr. Child was raised in northern Utah where she received her undergraduate degree from Utah State University in Bio-veterinary Science. She then moved to Pullman, Washington where she attended Washington State University and received her doctor of veterinary medicine in 2003. During a student internship in the Florida Keys, Dr. Child realized she liked the heat much more than the cold and moved to Miami, Florida right after graduation. She worked as an emergency doctor for 7 years and then in general practice for 8 years. In the summer of 2018, Dr. Child and her family decided to move to the South Bay where her husband, Mike was raised. Dr. Child spends most of her free time with her husband, son and daughter. They all enjoy hiking, playing board games and playing on the beach. 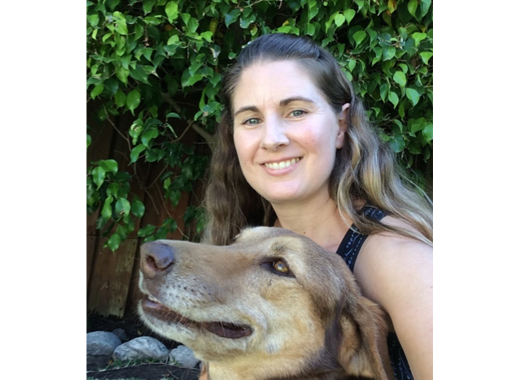 Dr. Child also enjoys running (slowly) with her dog, Ginger- a Labrador/ Doberman mix and trying to keep her 2 calico cats out of trouble. Her slower time is spent gardening and reading. Her professional interests include advanced dentistry, surgery, behavior and dermatology.